Tags: Fun, Girl, Grooming, Horse racing, Internet, Take care of horses, Train horse. 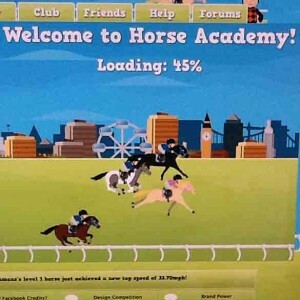 Horse Academy is a fun and exciting horse game that is perfect older girls that love horses. The graphics, although not very realistic, are cute and the races are fun. It takes no time at all to download and does not seem to slow down the computer. This Facebook game is more like a social game, with chat rooms and trading with other players then it is a skill game. 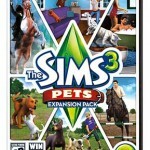 Players get to look after horses in a stable on a ranch. Grooming the horses increases the happiness bar and feeding them increases the stamina bar. 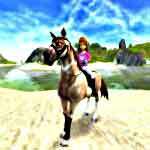 At the start of the game, you have the opportunity to choose your horse and give it a special name, one that you pick, or if you can't think of anything you can click on auto and it will give you an idea. Once this is done you, go right to your ranch. There you will find sables already built and the horse that you picked and named. Level objectives at the top of the screen help to get you acquainted with the game. They give you something to work towards, and when you achieve them, you go onto the next level. You start out with 10,000 coins, which will increase when you start winning races. 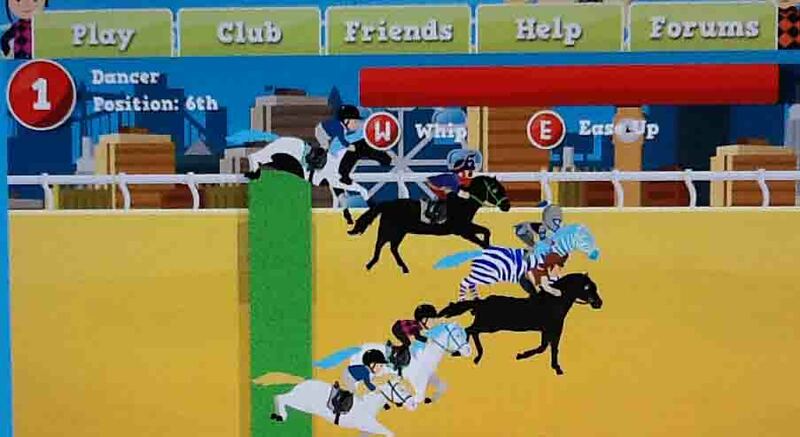 Coins can be used to buy food and horses, also to enter races that offer more prize money. 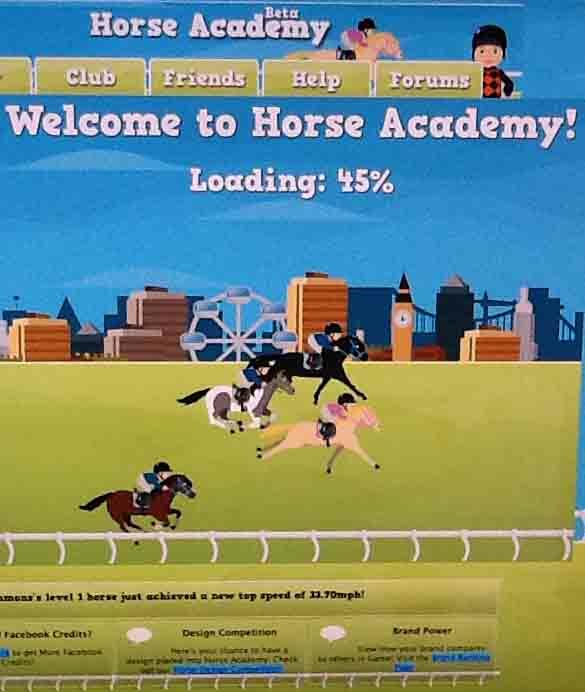 The chat box at the bottom of the screen is where you can talk to other players, make trades, buy and sell horses and see what's going on in the world of Horse Academy. 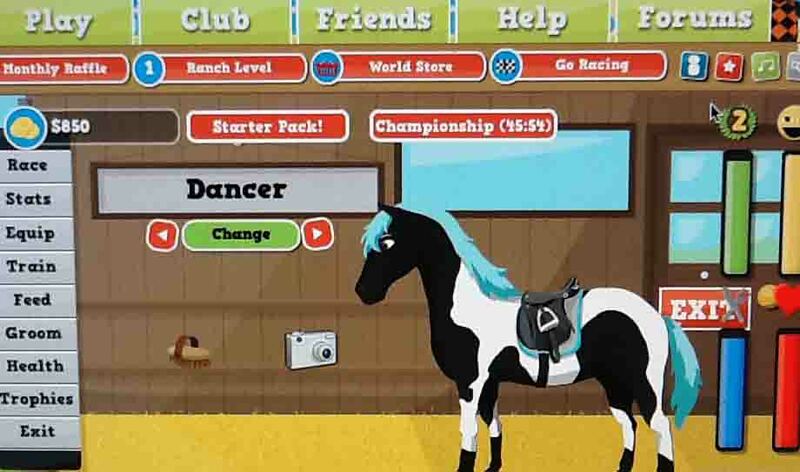 It does take some time to master all of the skills in this horse game. In order to enjoy it fully, you have to be willing to put some time in to learn all that you can do. It also requires some time to build up your ranch. This game requires a time commitment and is one that you will have to play for a little while to get the full “fun factor.” Once you get the hang of it, it flows quite nicely.